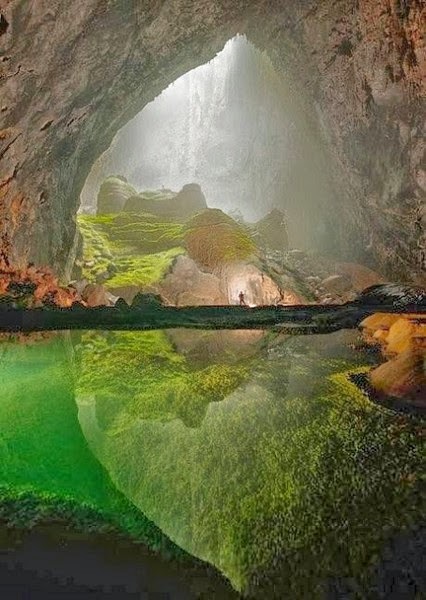 The Son Doong Cave in Vietnam is the biggest cave in the world. It's over 5.5 miles long, has a jungle and river, and could fit a 40-story skyscraper within its walls.But nobody knew any of that until four years ago. 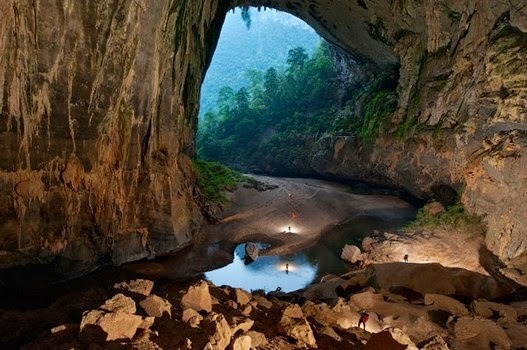 The newly discovered cave has been touted as the largest in the world, although other caves vie for the title of longest (Mammoth Cave in Brownsville, Kentucky nabs that title with about 400 miles of passageways) and deepest (Krubera Cave in the nation of Georgia). The Paílón del Diablo is a fairly large waterfall (located on the Pastaza River) just 30 minutes away from the town of Baños in Ecuador. It is considered to be one of the most popular attractions in the area. 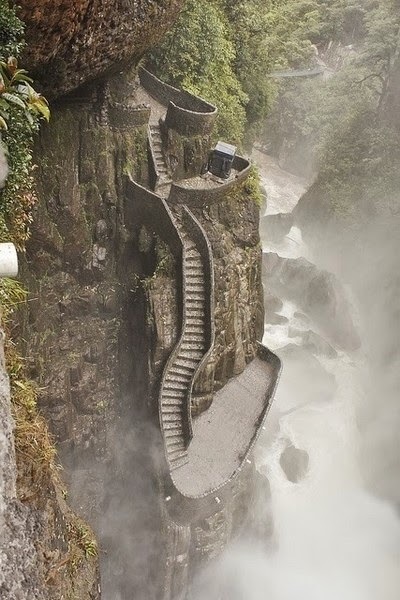 The name of the waterfall in Spanish (Paílón del Diablo) means in English ”Cauldron of the Devil”. it is free to view it from the suspension bridge, you can pay about 0.50$ and walk the path that get closer to this amazing waterfall.